ARCK Boston Blog: Healing the Syrian Refugee Children Art exhibition on May 10th. Healing the Syrian Refugee Children Art exhibition on May 10th. ARCK is co-sponsoring the Spring Fling Open House with the Center for Arabic Culture -- ARCK will be exhibiting the artwork of the Syrian Refugee children in Jordan from last summer's workshops at Family Guidance Awareness Center (https://www.facebook.com/FGAC.jordan?fref=ts) in Zarqa, Jordan. The workshop was lead by Sara Mraish Demeter and Noor Doukmak and was partially funded by MIT IDEAS Global Challenge. 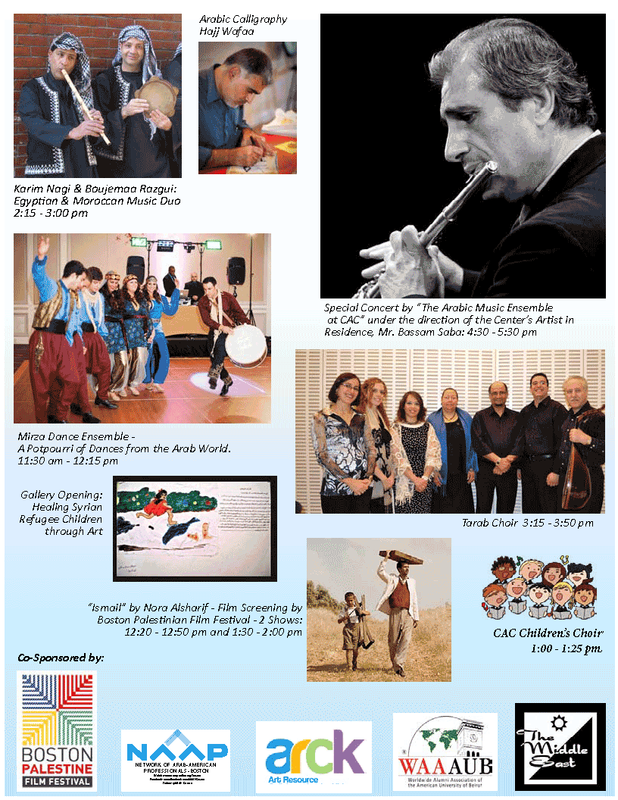 Please join us and enjoy the festivity to learn about the Center for Arabic Culture. If you are not able to attend please forward this invitation to your friends in Boston.